The country which is powerful and wealthy are educated. There is not a single country in this world in which about everybody is not educated. According to Global education report, around 29 crore people are illiterate in India which is largest in the world. Of all the illiterate people, about 34% are from India which is a matter of shame. We thought why we couldn’t make india literate in 66 years??? The first reason is we have left education to governments and industrialists. If there was a peoples movement, people would have taught voluntarily, religious organisations would have took up this task, policical workers too would have joined and India would have bee completely literate. JLS will persuade those youth who would study themselves and also teach children. Our members will teach in those remote vilages and areas where the level of education is low. The second reason is the continuance of two types of education in india. As long as those english medium public schools which charge huge fees . all the government jobs and social status are reserved only for this. Due to this, the children of villages, poor and deprived, have got a lower level of education. They think what will they do after studying. They will not get jobs, then how will they be able to feed themselves and their families. Who will improve this condition in India??? After the implementation of “the right to education act.” It has been the emphasis of government to provide education to socially and economically backward women and children. It is the right of every indian to be educated. 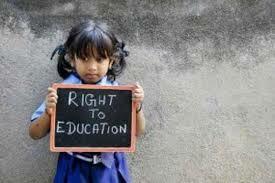 It is the duty of the government to see education is given to all irrespective of lingual or social differences. Inspite of all these, the rural people are not yet aware of education and also if they are, they only educate boys but not girls. JLS will camp at village to village and make people aware about education. Education is a fundamental human right: Every girl and boy in every country is entitled to it. Quality education is critical to development both of societies and of individuals, and it helps pave the way to a successful and productive future. When all children have access to a quality education rooted in human rights and gender equality, it creates a ripple effect of opportunity that influences generations to come.